Size: 3.4" x 2.1" x 0.2"
The PS-9250 combines a PS-2100 Databank with the Day Runner® memo size refills in a small book. 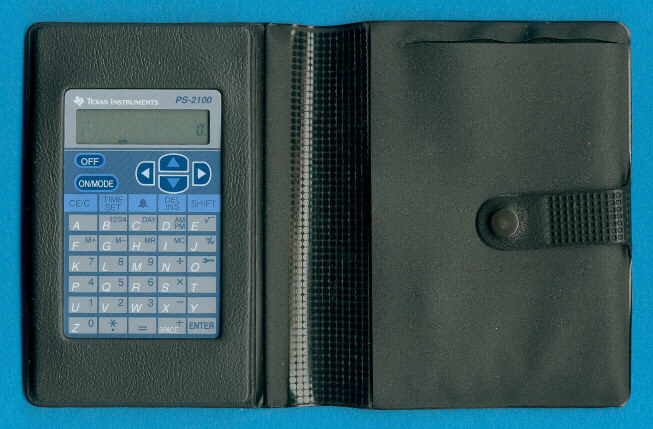 The PS-9250 Data Bak Book is featured in the Texas Instruments Incorporated sales catalog CL-1233 dated 1994. © Joerg Woerner, July 7, 2002. No reprints without written permission.